The 2011 International Sniper Competition and Symposium will be held September 26-30, 2011 at Fort Benning, Georgia. Two-man teams from all over the world will compete in 10 to 15 sniper-related events. The events will test competitors’ physical fitness and sniper skills including: target detection, target discrimination, stalking, land navigation, and marksmanship. The teams represent active-duty Army units, the Army National Guard, U.S. Army Reserve, U.S. Air Force, Pentagon Defense Police, the San Diego Police Department and the countries of Canada, Germany and Ireland. The focus of the competition is to bring teams together to share battlefield lessons learned, provide training initiatives and ideas and to compete tactically and technically. The competition is preceded by a training symposium. The competition will take place on firing ranges on Fort Benning and events will be conducted continuously over a 72-hour period. Many of the competition’s events are spectator-friendly. The event is open to the public (for viewing). There is no admission fee and parking is free. 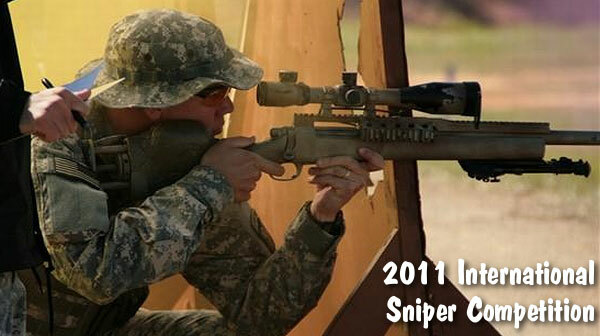 Share the post "Fort Benning Hosts International Sniper Competition"
Will this be televised this year? AKA Top Sniper on History channel?